Unfortunately it is not yet possible to copy and paste or duplicate videos (and other media files) in the timeline of the Create editor – we're working on adding this feature and plan to make it available in a future release. This will create many copies of the clip in the timeline. It won't, however, duplicate any edits (e.g. 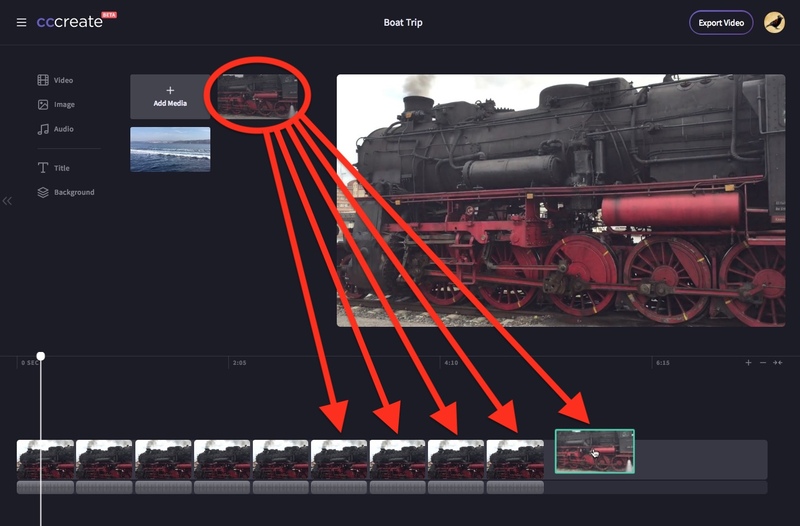 trims, cuts or filters) you've applied to the clip before, so you will need to manually edit each instance of the clip. If you want to repeat a clip many times, and wish to avoid spending time editing each copy, consider editing the clip, exporting it, then adding the edited clip back to your media library and dragging and dropping it using the above method. We know this is not ideal and we're working on adding a more time-saving and efficient copy-paste feature soon.